Andre P. Barlow is a Partner focusing on all aspects of Antitrust, Hospitality and International Trade Law. Mr. Barlow has extensive experience in antitrust enforcement matters before the United States Department of Justice, the Federal Trade Commission, and state enforcement agencies, as well as in complex commercial litigation involving the federal and state antitrust laws and other commercial matters. 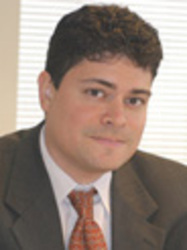 Mr. Barlow is experienced in merger, grand jury, and other government investigations, and provides counseling and representation with respect to allegations of conspiracy, monopoly, tying, exclusive dealing, unfair competition, vertical and horizontal arrangements, unilateral conduct, Robinson Patman matters, price discrimination matters, potential mergers and joint ventures, and compliance with the Hart-Scott-Rodino Act. Mr. Barlow’s antitrust litigation experience includes monopolization, Robinson Patman, price discrimination, and exclusive dealing cases. Mr. Barlow represents clients in investigations by federal and state antitrust regulatory agencies. He also advises clients on issues related to mergers, and premerger notifications both inside and outside the United States. Mr. Barlow has experience in complex white collar criminal cases relating to antitrust conspiracies, in internal investigations and in preparing and implementing compliance programs. In addition, Mr. Barlow provides antitrust and regulatory advice and counseling to risk arbitrage managers of various institutional investors and investment fund managers, considering strategic investments and sophisticated trading strategies in the securities of publicly traded companies that are parties to either hostile or friendly merger, tender offer, or spin-off transactions, or re-capitalization participants. Mr. Barlow also addresses the needs of a number of restaurant and fast casual chains, taverns, and other businesses in the hospitality industry. He advises them on a variety of corporate, licensing, commercial, employment, intellectual property, trademark, breach of fiduciary duty, and civil litigation matters. In addition, he also represents domestic and international clients with respect to antidumping and countervailing duty investigations. Mr. Barlow was formerly a trial attorney with the Antitrust Division of the United States Department of Justice. While with the Antitrust Division, he conducted all aspects of antitrust merger and conduct investigations, including deposing target individuals, interviewing potential witnesses and industry participants, and preparing case recommendations to the Assistant Attorney General. Prior to his tenure with the Antitrust Division, Mr. Barlow served as an economist at the Foreign Agricultural Service of the Department of Agriculture. Mr. Barlow is admitted to practice in the District of Columbia and Virginia. He is also admitted to practice in the U.S. District Court for the District of Columbia; U.S. District Court for the Eastern District of Virginia; U.S. District Court for the Western District of Virginia; U.S. Court of International Trade; U.S. Court of Appeals for the Federal Circuit; and U.S. Patent and Trademark Office. He serves on the Advisory Board of the American Antitrust Institute in Washington, D.C. and on the Board of Anka Rising, Inc., a not for profit organization. He is a member of the American Bar Association, Section of Antitrust; District of Columbia Bar Association, Antitrust Trade Regulation and Consumer Affairs Section; and Virginia Bar Association, Antitrust Section. Protecting Beer Competition: The Vital Role of the Proposed Settlement of Colossal Beer Merger, The HILL, September 19, 2016. DOJ Steps Up to the Plate & Protects Farmers, ANTITRUST LAWYER BLOG, September 1, 2016. FTC Approves ON's Acquisition of Fairchild With Structural and Behavioral Conditions, ANTITRUST LAWYER BLOG, August 25, 2016. FTC Approves Generic Pharmaceutical Mergers with Divestitures, ANTITRUST LAWYER BLOG, July 29, 2016. DOJ Sues to Block Health Insurance Mergers, ANTITRUST LAWYER BLOG, July 28, 2016. The Beer Industry Needs a Tough Merger Cop, The HILL, June 10, 2016. Preventing Competitive Harm in the ABInBev/SABMiller Merger, Law 360, May 26, 2016. DOJ Approves Charter's Acquisition of TWC With Behavioral Conditions, ANTITRUST LAWYER BLOG, May 19, 2016. No Upfront Buyer Requried in Air Liquide/AirGas, ANTITRUST LAWYER BLOG, May 13, 2016. FTC Challenges Deal Based on Future Competition Concerns, ANTITRUST LAWYER BLOG & e-Competitions Antitrust Case Law Bulletin, May 2015. Mergers that Diminish Innovation Present Deal Risk, ANTITRUST LAWYER BLOG, May 2015. US DOJ Blocks a Merger Between Two Semiconductor Equipment Suppliers, e-Competitions Antitrust Case Law Bulletin, April 2015. DOJ Obtains Disgorgement of Profits for Illegally Consummated Merger, ANTITRUST LAWYER BLOG & e-Competitions Antitrust Case Law Bulletin, March 2015. Effective Cooperation with the Antitrust Division Can Lead to Shorter Merger Investigations, ANTITRUST LAWYER BLOG, January 2015. The US DOJ Approves a Merger in the Vehicle Air Springs Market Under Conditions in Order to Resolve a Vertical Antitrust Concern, e-Competitions Antitrust Case Law Bulletin, December 2014. President Obama Chimes in on Net Neutrality Debate, ANTITRUST LAWYER Blog, November 2014. MOFCOM’s Block of P3 Shipping Alliance, ANTITRUST LAWYER BLOG, November 2014. Antitrust Division Obtains $3.8 Million in Civil Penalties and Disgorgement of $1.2 Million for Illegal Pre-Closing Conduct, ANTITRUST LAWYER BLOG, November 2014. FTC Requires Modification of Trade Associations’ Ethical Rules to Comply with the Antitrust Laws, ANTITRUST LAWYER BLOG, December 2013. HSR Rules Must Be Taken Seriously, ANTITRUST LAWYER BLOG, July 2013. How Does China Conduct Antitrust Reviews of Mergers?, ANTITRUST LAWYER Blog, October 2012. DOJ Challenges George’s Consummated of Tyson Foods’ Harrisonburg Poultry Processing Complex, ANTITRUST LAWYER BLOG, November 2011. No Deal is Ever Done, ANTITRUST LAWYER BLOG, September 2010. FTC and DOJ Issue Merger Guidelines, ANTITRUST LAWYER BLOG, August 2010. Scrutiny After the Fact: LEGAL TIMES (co-authored), 2005. Avoiding Summary Judgment in Antitrust Conspiracy Cases: Is the Seventh Circuit Pro-Enforcement?, THE SEDONA CONFERENCE, (co-authored), 2003. Federal Trade Commission Targeting Consummated Mergers: CORPORATE COUNSELING REPORT, Newsletter of the Corporate Counseling Committee, 2002. Cruising for a Bruising: An Analysis of Proposed Cruise Line Mergers, THE DAILY DEAL (co-authored), 2002. Nasdaq- Andre Barlow noted that Rite Aid was a smaller, No. 3 behind two behemoths adding that a smaller chain does not have the same leverage as a larger chain and there is a legitimate argument that Rite Aid was not an effective competitor to the acquisition. Bloomberg-Andre Barlow chimed in on whether there has been a decrease in merger enforcement with the Trump administration. He noted that "with a Republican administration, there are often concerns that you might not see active enforcement, but we haven't seen any evidence of that so far under Trump, what we're seeing is business as usual." The Street-Andre Barlow explained that Amazon Business was a new entrant when the FTC argued that it was not a competitive threat to Staples and Office Depot.